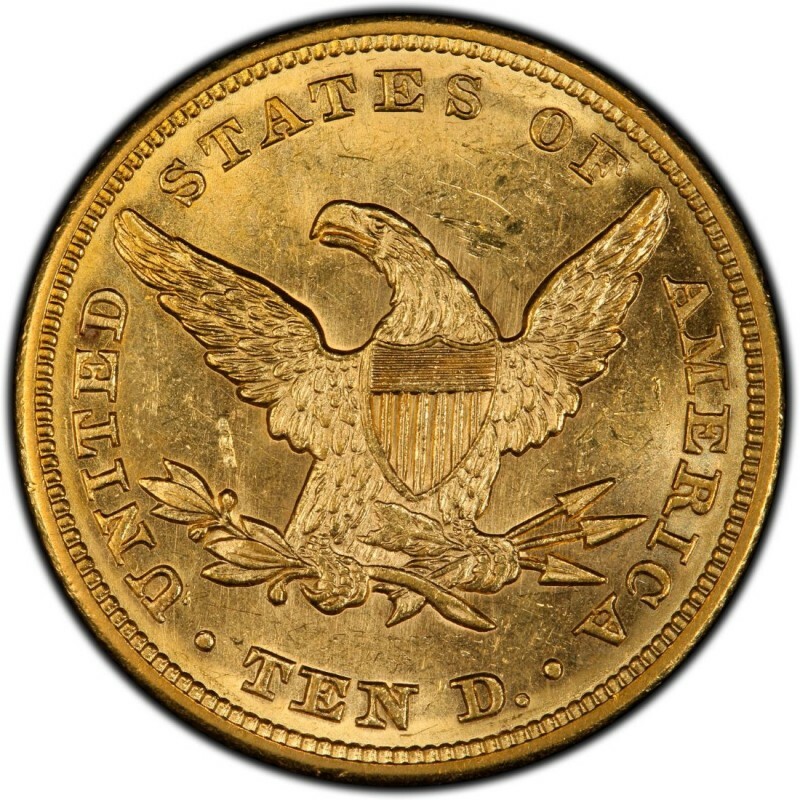 1847 Liberty Head $10 gold coins were made in fairly substantial numbers and many of those coins were melted down or have been lost due to heavy circulation. These classic pre-1933 U.S. gold coins contain 0.4806 ounces of gold and were designed by Christian Gobrecht; he served as the third Chief Engraver of the United States Mint. In addition to designing 1847 Liberty Head $10 gold eagles, which were first coined in 1838, he also designed Seated Liberty coinage, which was made generally from the late 1830s through early 1890s. *Values are for coins grading Very Fine 20. While the mintages listed above might appear quite large, and they are, there actually are far fewer 1847 Liberty Head $10 gold coins in existence today than were originally minted. This is quite common with many pre-1933 U.S. gold coins. 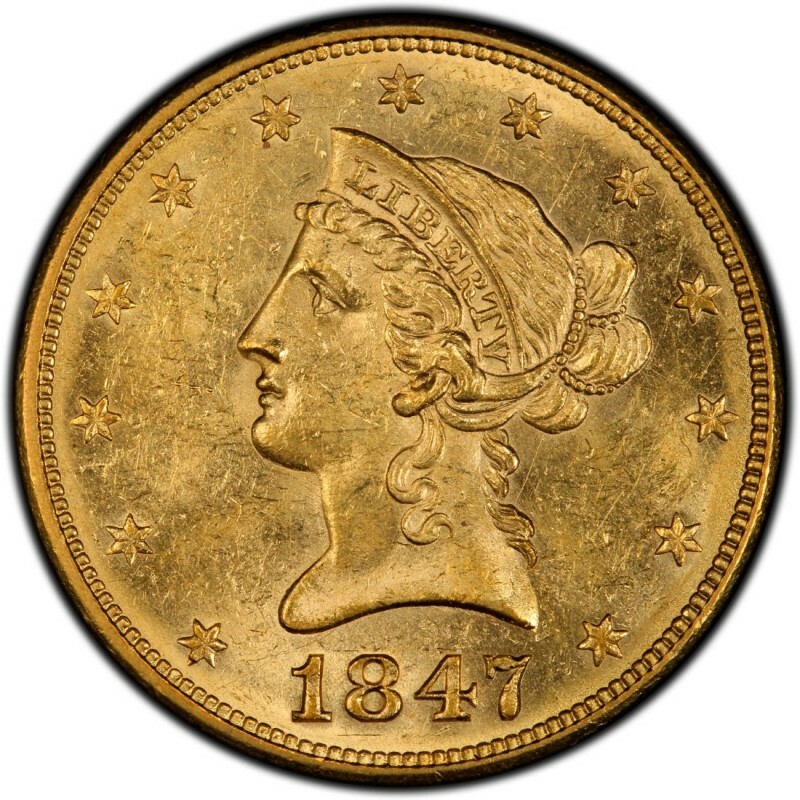 Given the overall scarceness of many pre-1933 U.S. gold coins, such as 1847 $10 eagles, it’s advisable that they are bought certified from reputable third-party coin grading firms or, if purchased “raw,” from trusted coin dealers or bullion distributors.